Joe Ralston, massage therapist (left to right), Sandy Anderson, massage therapist, Sr. Edna Lonergan, president of St. Ann Center for Intergenerational Care, Dr. Tom Bachhuber, president of Center for Life Transitions, and Kathryn O’Dell, vice president of fund development, join Sr. Edna Lonergan as Dr. Tom Bachhuber presents St. Ann Center with a monetary gift of blessings in St. Ann Center’s indoor park in Milwaukee on July 13, 2010. The two programs being supported through the gift include: The Buddy Program which trains at risk youths from Milwaukee to be health care assistants at the St. Ann Center, develops job, communication and personal nurturing skills. The youths provide care and personal interaction with the seniors through games, activities and conversation. Youths in the summer program learn career, social, educational and money management skills through classroom and on-the-job experience. The Benevolent Touch Program provides Benevolent Touch National Instructor Certification training to participants on how to give safe and comforting care to people with Alzheimer’s disease and other forms of dementia. The program also helps seniors with special needs like sensory loss and other physical or emotional disabilities. This program provides comfort and support to people who need belonging and security while reducing anxiety and loneliness. The St. Ann Center applied for funding from the Center for Life Transitions in January, 2010 and receive notification of the award in June. 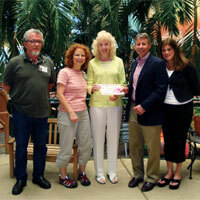 The gift will allow St. Ann’s to enhance the quality of the programs as well extend them to more individuals. The missions of the organizations are similar in that they each provide support, care and education to individuals who are in transition – be it educational, personal, health or work related. 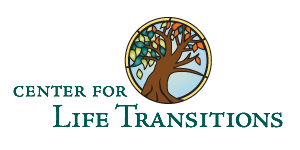 The Center for Life Transitions is a counseling and resource facility started in Bridgewater, NJ by Tom Bachhuber and friend/colleague Scott Pontier, a family therapist. The Center expanded to Milwaukee when Tom accepted the Director of Career Development Center position at UWM in 2004. The Center helps people at career and personal crossroads, encouraging faith/spiritual exploration as part of the transition process.